Reza “Robin” Shahini, 46, from San Diego, California, was visiting his ailing mother in Iran when he was snatched up by Iranian Revolutionary Guard Corps officials and thrown into prison. He joined a growing list of dual national citizens arrested, imprisoned and sentenced by the Iranian regime without so much as a reasonable facsimile of a legitimate trial. Since September 2015, Iranian authorities appear to have been targeting citizens who they believe could upset the status quo, such as human rights activists, charity workers, or foreign journalists. But it is the arresting of Americans, Canadians, Brits and other nationalities that has sent ripples around the world as governments who naively thought the Iranian nuclear agreement would bring about a more moderate regime are now being confronted by a newly aggressive one. In the case of two British subjects being held by the Iranian regime, their families have allied with international human rights groups to try and put more pressure on the British government to force their loved ones release. Richard Ratcliffe and Kamran Foroughi handed over a 72,000 signature petition from Amnesty International to Downing Street and the Foreign Office on behalf of Ratcliffe’s wife, Nazanin Zaghari-Ratcliffe, and Foroughi’s father, Kamal Foroughi. Zaghari-Ratcliffe, a charity worker, was sentenced to five years in prison last month after a conviction on unspecified “national security-related” offences following another sham trial before a revolutionary court in the capital Tehran. Voss is correct that all pretense of a new moderate Iran pushed by the Iran lobby have been proven false over and over again. The sheer volume of inhumane acts and criminal steps taken by the regime over the past year leave no doubts. 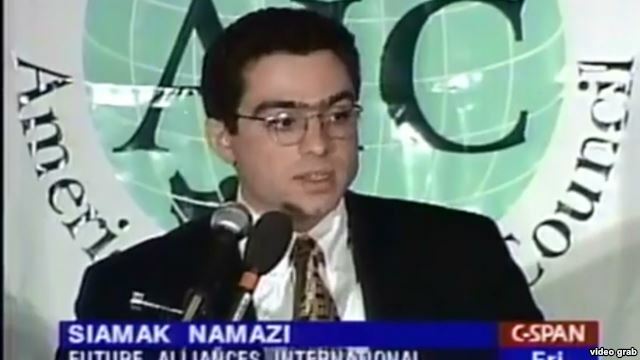 Even the most persistent supporters of the regime, including the National Iranian American Council, had to concede the obvious and issued a press statement critical of the 10 year prison sentences levied on Iranian-Americans Siamak Namazi and his father. Meanwhile the regime continues on its brisk pace of executions with three more men hanged in Iran’s southern city of Shiraz. Although the regime ostensibly executes prisoners for crimes such as murder and drug trafficking, it broadly applies the death penalty to include political dissidents and crimes against the regime which serves as a catch-all definition suitable for any offense the mullahs see fit. 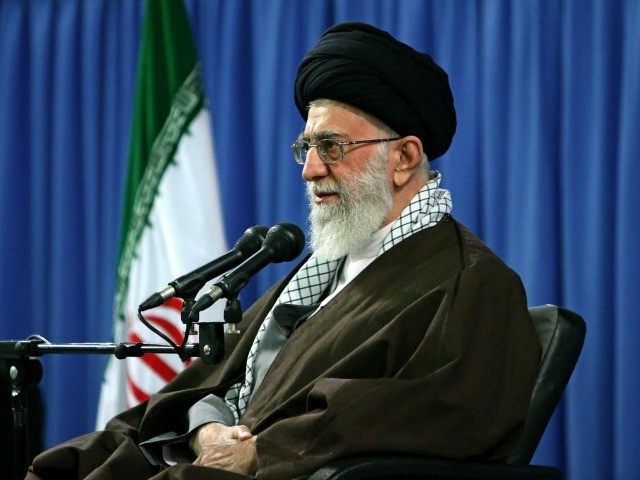 But death sentences are not the only way the regime muzzles its critics. Amnesty International reported on the arrest of writer and human rights activist Golrokh Ebrahimi Iraee who had recently written about the regime’s use of stoning as punishment. Despite the fact that no official summons has been issued, Golrokh Ebrahimi Iraee’s home was raided this morning by officials, who violently broke through her front door before taking her to Evin Prison in Tehran. It appears that she has been taken to the women’s ward to begin serving her six-year sentence. She has been convicted of charges including “insulting Islamic sanctities,” for writing an unpublished story about the horrific practice of stoning in Iran. Golrokh Ebrahimi Iraee’s husband, Arash Sadeghi, a human rights activist and prisoner of conscience, has since started a hunger strike in protest at her imprisonment. The unpublished fictional story, for which Golrokh Ebrahimi Iraee has been convicted of “insulting Islamic sanctities,” describes the emotional reaction of a young woman who watches the film The Stoning of Soraya M – which tells the true story of a young woman stoned to death for adultery – and becomes so enraged that she burns a copy of the Qur’an according to Amnesty. In essence the regime arrested and sentenced her for writing something that wasn’t even published. If the mullahs could figure out a way to detect dissident brainwaves, they would probably start arresting anyone for thinking improperly, but such is the sad state of human rights in Iran today. 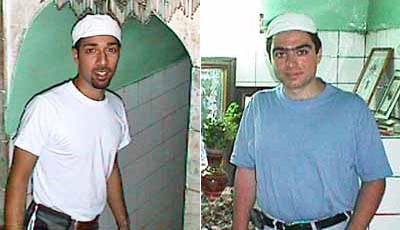 Five Iranian-American groups sent a letter to U.S. Secretary of State John Kerry urging him to work for the release of an Iranian-American being held by the Iranian regime and not part of the prisoner swap that occurred last month. The signatories to the letter were the Public Affairs Alliance of Iranian Americans, the Pars Equality Center, the National Iranian American Council, Iranian Alliances Across Borders, and the International Campaign for Human Rights in Iran. Most of these groups actively supported the nuclear agreement with the Iranian regime and have campaigned on behalf of it; most notably the NIAC. Siamak Namazi has been held in Iranian prison since last October and his continued imprisonment has now become something of a cause amongst groups such as NIAC who have previously not dared to voice any public disagreement with the regime on previous occasions, including the imprisonment of other more notable Iranian-Americans such as Washington Post reporter Jason Rezaian, Christian pastor Saeed Abedini and former U.S. Marine Amir Hekmati, who had been subjected to torture and released as part of the prisoner swap. The U.S. released seven Iranian nationals held in the U.S., in return and agreed to drop international arrest warrants and charges against 14 Iranians outside of the U.S. who had been involved in the smuggling of arms and nuclear components. Other Iranian-Americans, some of whom spoke on the condition of anonymity to the New York Times, said they were postponing or scrapping planned trips to Iran until Namazi was released, or at least until the circumstances surrounding his case were clearer since his arrest has stirred anxiety among those who thought the nuclear deal portended a new era. The ties between Namazi and Trita Parsi of the NIAC previously exposed by Iranlobby.net were also revealed in a Daily Beast expose that detailed how in 1999, Namazi got together with Parsi at a conference in Cyprus. The conference, titled, “Dialogue and Action Between the People of Iran and America,” was convened to help ameliorate U.S.-Iranian relations in advance of reconciliation by forming an aggressive public relations and lobbying response to any anti-Iranian regime policies and legislation. Two years later Parsi founded the NIAC, which long advocated opening up commercial and financial lines back to Iran with Namazi’s family companies offering to provide foreign companies and investors with connections and access to regime officials in a cozy relationship that no longer appears that cozy. 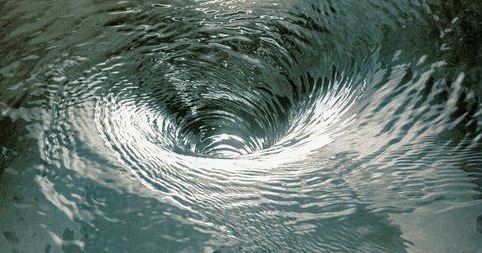 The shifting political winds within the Iranian regime have been reflected in the mass dismissals of thousands of proposed candidates for parliamentary election seats, but of more immediate concern is the prospect of mass demonstrations by ordinary Iranians – not over election issues, but because a large number of Iranians who receive public payments have not been paid by the regime. This also shows that as far as the ordinary Iranians are concerned, they have no illusion about the existence of a moderate or any moderation within the mullah’s regime. “With greeting and respect, you are hereby informed that given that the end of the [Persian calendar] year is approaching and taking note of the instructions handed down by the minister and competent authorities regarding timely payment of workers’ wages and back pay, you must instruct that all wages, bonuses, back pay and overtime pay be paid no later than February 24, 2016 in order to prevent any possible gatherings or sit-ins and their related negative consequences. In other words, a lot of Iranians haven’t been paid their salaries, and the Khamenei regime is ordering that they be paid the money they’re owed by February 24, two days before the election, in the hope of defusing any potential mass protests. The prospect of election protests is worrisome to regime leaders, especially since these elections will be held at the same time International Women’s Day is observed, which is all the more problematic for the regime when one considers the abysmal state of women’s rights in the regime today. Nothing exemplifies this more than reports that Press TV, the regime’s state-run, English language news channel, suspended two executives on Monday after a prominent newscaster exposed that she had endured years of sexual harassment from them. The newscaster, Sheena Shirani, has fled the country according to the New York Times. Press TV is a part of the Voice and Vision organization of Iran, a powerful state media organization that is widely seen as a tool of the country’s hardline factions. One expatriate journalist who previously worked for Newsweek said that Emadi doubled as an interrogator in the Evin prison and once interrogated him. Emadi was later placed on a European blacklist of human rights violators. The incident has also led to debate on social media. Several women have said such forms of harassment are commonplace in Iran under the mullahs rule, where unemployment is high and laws overwhelmingly favor men.